Today's offering comes from the pages of H.P. Lovecraft, and stands out as one of the better film adaptations of his stories. 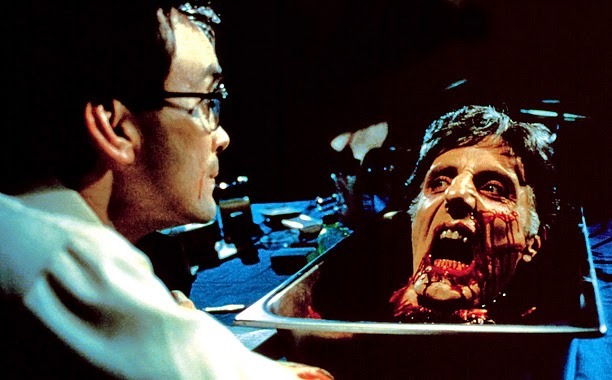 There are significant differences between the Herbert West of the original story and the West of the movies- whereas the original story spans an entire lifetime, the three movies (Reanimator, Bride of Reanimator and the regrettable Beyond Reanimator) cover a matter of years. West does not seem to age more than say, ten years during the course of the films, so we can assume these events are fairly close in time, and we're conveniently left with West wandering off into the night at the end of the third movie, leaving us to wonder what happens to him. Well, wonder no more. Let's start with a brief recap of the events of West's life as they are related in the films. When the first movie begins, Herbert West is a medical student in Switzerland, studying under one Hans Gruber, with a special focus on death. West is interesting in that he has a fanatical obsession with defeating death, regarding it as an enemy of the medical profession, something to be defeated rather than accepted, at one point stating he believes conquering death to be "every doctor's dream". Why the obsession with death? Though not explicitly stated in the movies, it's been said by writers that West's parents were killed in a car accident when he was a boy, leaving him an orphan and leaving a deep impression that has carried over to his medical career. 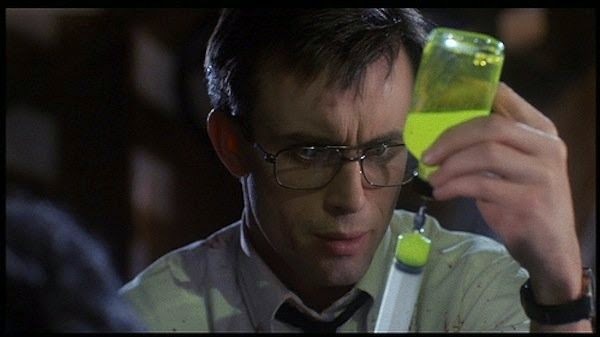 As the movie opens, West and Gruber are in mid-experiment, and we learn West has been testing a serum on Gruber in hopes of bringing him back to life. The results are rather explosive, quite literally, and West denies killing Gruber. After this, he transfers to Miskatonic Medical School in Arkham, Massachussetts (a fictional school and town) and picks up his course of study where he left off, falling almost instantly into disagreement with one of Miskatonic's instructors, Dr. Carl Hill, who is under a cloud of suspicion regarding possible plagiarism of Gruber's work on brain death. West meets up with and becomes roommates with a fellow student, Dan Cain, who becomes West's assistant in his experiments. West, we learn, has developed a chemical serum that he believes can restart biological processes, which West believes should restore life to recently deceased living things, though the reaction is unpredictable and almost inevitably violent and uncontrollable. Cain, excited and shocked by West's work, goes to the dean of the medical school, at which point the dean expels West and rescinds Cain's student loan, effectively blocking either from continuing in any capacity at Miskatonic. 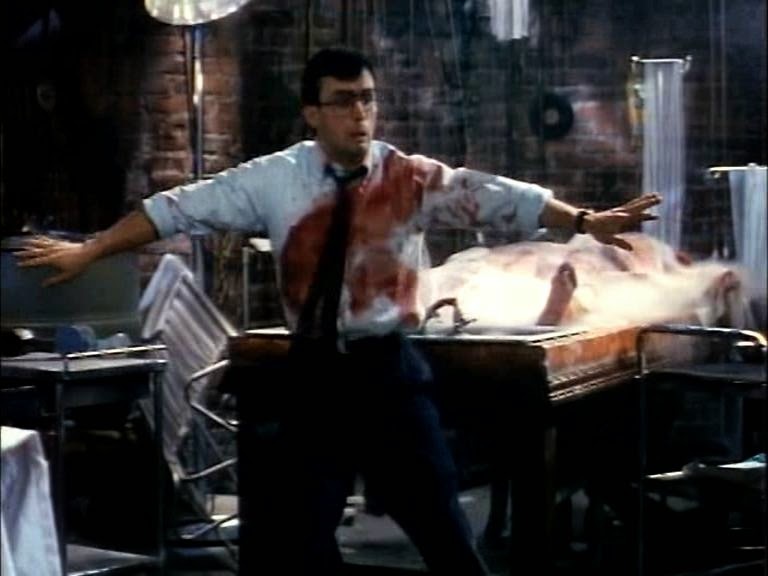 The dean then is attacked by one of West's experiments in the hospital morgue at Miskatonic, at which point West uses the same method to reanimate the dean, claiming that the dean's "freshness" will possibly lead to a more successful and controlled reanimation. This doesn't seem to work, though the reanimation is successful. Like the others, the dean comes back apparently brain damaged and violent. West later murders Dr. Hill by decapitation after he attempts to claim West's discovery as his own, (maybe there was something to those accusations of plagiarism after all) and reanimates his head and body, which both come back to life. It's interesting that both Hill's head and body retain full memory, with little or none of the psychosis and violence of West's other experiments. A conflict later ensues at the hospital, later becoming termed the "Miskatonic Massacre", though West and Cain do escape, going on to graduate and become involved in humanitarian work in Peru, later returning to Miskatonic, this time as staff doctors. West, having realized the possibility of reanimating parts of bodies, (and are we really surprised at the Frankenstein reference?) and embarks on a new project- a composite female, composed of whatever West and Cain can smuggle from the graveyard adjacent to their home and the hospital morgue. The results are predictably unstable, and don't last long, due to, as West notes, "tissue rejection." "But does my HMO cover this?" Time goes on, and we find West in prison for his involvement in the affairs of the Miskatonic Massacre. A new doctor joins the prison staff and recruits West as an assistant, and we learn that his sister was killed when he was a boy- by one of the bodies Hill reanimated in an effort to get revenge on West. Again, West continues his experiments, this time attempting (unsuccessfully) to stabilize the reanimated bodies. This fails to work, and chaos breaks out in the prison as once again West's experiments get loose. In the confusion, West escapes prison and simply wanders off into the night, for parts unknown. What we know of West is that he is brilliant, but bordering on the sociopathic, not above manipulating anyone and everyone close to him to further his experiments, which have taken on the level of obsession with him, crowding out everything else. West appears to have no close friends or family, and regards science as a kind of religion. He even sacrifices his own health, at one point making use of a diluted version of his reanimating serum to allow him to continue working without sleep. He is, despite this, dedicated and meticulous in his work, and full of pride at all his accomplishments, and believes his work is for the greater good of mankind. What we see in West is first, a devoted student of science with more than a touch of ego thrown into the mix, equaled only by a formidable intellect, untempered though it is by any kind of conscience. West regards the human body as largely mechanical, simply a collection of parts to be replaced as needed. Moving on to the reading, I chose the Necronomicon Tarot (seemed fitting) and used a Celtic Cross spread. Starting at the beginning, the present situation card was the 5 of Cups. Interestingly, the suit of Cups seems to form something of a backdrop for West. The suit represents emotions- a strange motivation for such a scientific and calculating mind, but nonetheless West does indeed display drive, passion and commitment to his work, however misguided he may be. The 5 here tells of making the best of a bad situation. West seems to be spurred on by difficulties and adversity, often adopting an "I'll show them!" mentality in his work. Given perhaps different circumstances, West may well have been a brilliant and effective physician. As it is, the 5 can also be seen as his outcome- this overwhelming devotion to science and ego is ultimately what destroys him. Covering this was the High Priestess- another card one might not expect to see there. The Priestess tells of secrets hidden in plain sight- what struck me about this card was that it seems to fit with the 5 in indicating what West could have been- ultimately the purpose of medicine (i.e. 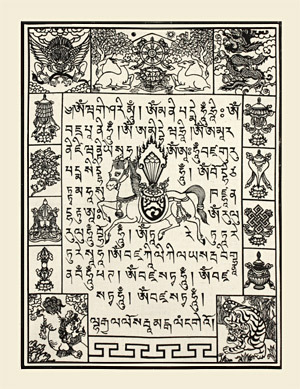 heal the body, alleviate suffering) seems to elude him, crowded out by his experimentation at any cost. The past position here held the Empress, one of three Major Arcana cards appearing in this reading. Again, what I see here is two halves of West- on the one, the heartless, calculating scientist and on the other the brilliant healer. But like West himself, this Empress energy of support and growth does have its down side. West's unusual pursuits, and his successful experiments push him further and further in his desire to master death. An aspect of the Empress can be (but not always) uncontrolled growth and expansion, and this is precisely what first, drives West, and second, ultimately causes his ruin. Moving on to the Foundation position, we find the Chariot. Contributing that brilliant mind and determination, West is pretty much unstoppable on his course- having chosen it, he will use his brilliance not necessarily for the good of mankind, but for his own ends, much as the charioteer guides and manipulates the forces at his disposal. In much of West's reading, the reversals of these cards are hinted at, but not explicitly stated, and here we see the same. Reversed, the Empress points to rampant growth and expansion, uncontrolled and without the needed limitations that ensure continued and safe development. Reversed, the Chariot points to things going haywire, the charioteer losing control of the vehicle, and more often than not, destruction and harm following close. West either is unable to predict the disastrous outcome of his experiments or simply doesn't care. As we have seen, there is that monumental ego driving him on. The Aspirations position here held the 3 of Swords, again pointing to some underlying motivation for his actions, quite possibly the loss of his parents. West is by and large not a happy person unless in control, and in this context I think it's safe to assume that loss of control West felt at the death of his parents, or for that matter any death he may have seen during his time as a student, left a lasting mark on his psyche. "The hip bone's connected to the leg bone, the leg bone's connected to the... wait, is that right? On to the Near Future- here we find the King of Pentacles. Again, can we completely write off West as a disaster? No, as he consistently demonstrates an ability to get by, no matter what his circumstances, be it the depths of a South American war, prison, or getting back on his feet after the events surrounding Gruber's death. Though driven mercilessly by his own mind, West is a practical and thorough scientist, and his ideas, in the right context and properly tempered by conscience and common sense, might well have provided lasting contributions to medical science. Looking beyond West's escape from prison, we can expect two things- first, he'll land on his proverbial feet, and more than likely continue experimentation, hopefully without bringing chaos and reanimated bodies wherever he goes. We see this also in the 7th position, also pointing towards the future, as here was the 8 of Wands. Whatever conflict, pangs of conscience or doubts West has are swept away in his certainty that he knows what he's doing and knows he will succeed. Again, looking forwards, West will not let the minor inconvenience of being a fugitive slow him down- there's work to be done! The next position deals with hopes and fears, and here we find the 6 of Cups. The 6 often is an indication of nostalgia, in some ways- drawing strength and inspiration from the past, though in West's case it seems that this too has two halves. Whatever demons West has inherited from his past remain with him, and continue to drive him on. This reading overall does seem to point to West having some lasting scars on his psyche, which might well explain a great deal about his motivations and perspectives. The 9th position, dealing with hidden influences, likewise offers an interesting view of West, as here was the Ace of Cups. The Ace relates back to the Empress, as in both cases we have potential- raw energy, in this case more specifically West's drive and passion for his work. He isn't necessarily evil per se, and wherever we find him at present, his original choice of vocation was a noble one. The Hippocratic Oath may well have been tossed aside in West's mania for fame and success, but nonetheless that desire to defeat death has a noble beginning. Could his escape from prison change him, giving him a new outlook, after seeing yet again what trouble his experimentation has brought? Judging from what we've seen of West's character and mental makeup, probably not. West is noticeably resistant to change, and retains his viewpoint and motives in the face of and in spite of evidence that a new approach would greatly benefit him. Finally, the 10th position and the outcome. The card here was the 6 of Pentacles, pointing to little change in West, but nonetheless continued success in his experiments, however unconventionally he may measure that success. West, it seems, truly believes in what he is doing, and results only push him further and deeper into his experiments. Ultimately West's story will continue much as it always has- experimentation, lack of boundaries and precautions, and a future filled with more arcane and clandestine laboratory work. Interestingly, we see also that West is not above using his own body to serve his taskmaster, science. Experimentation and attempts to prolong his own life and consciousness are almost certain, and this driven, passionate but perhaps ultimately misguided figure has a long if not entirely happy future ahead of him.